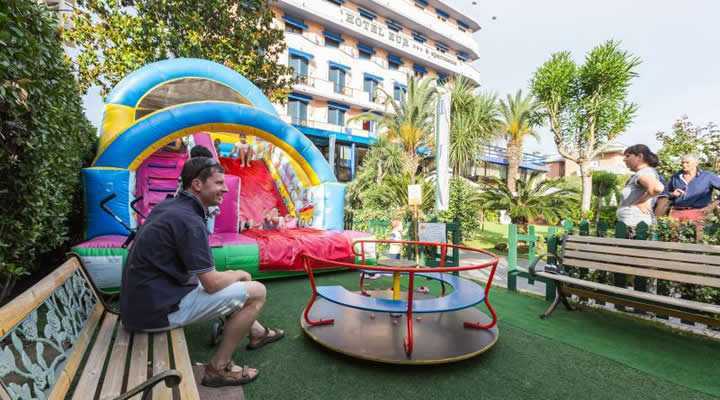 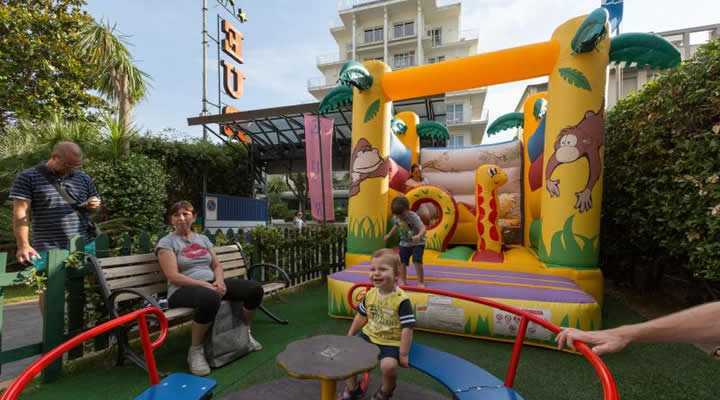 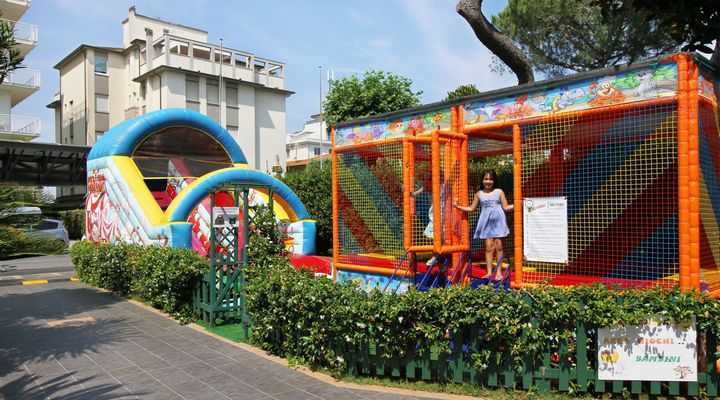 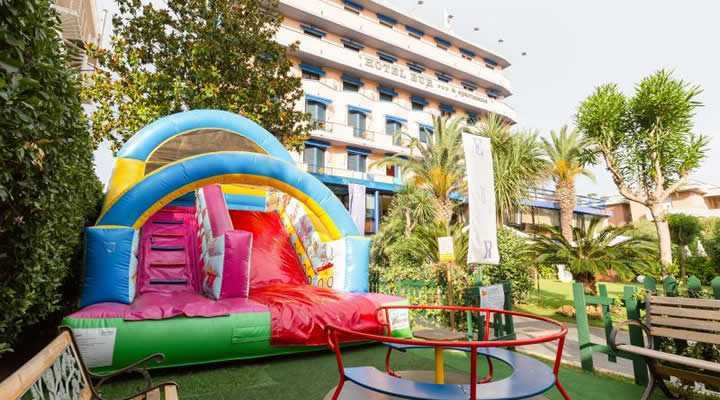 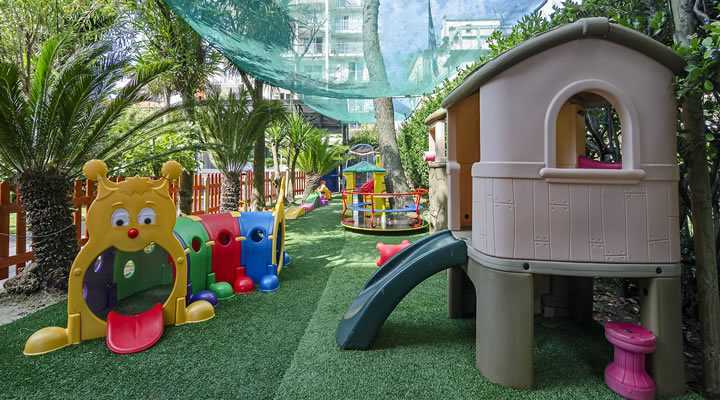 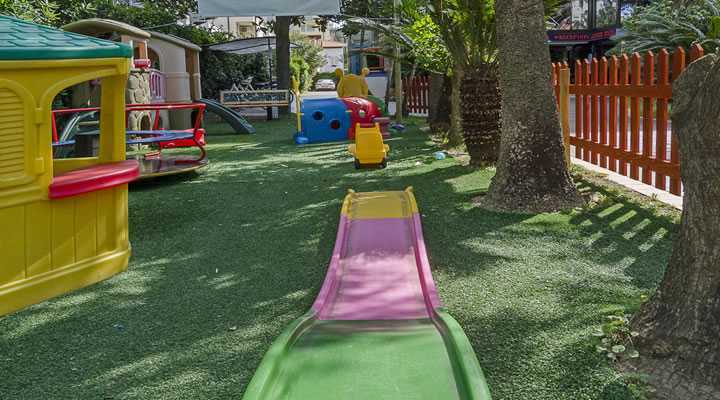 The Hotel is located just 100 mt from the sea and surrounded by a large garden equipped with huts, beach umbrellas and a game park area for children. 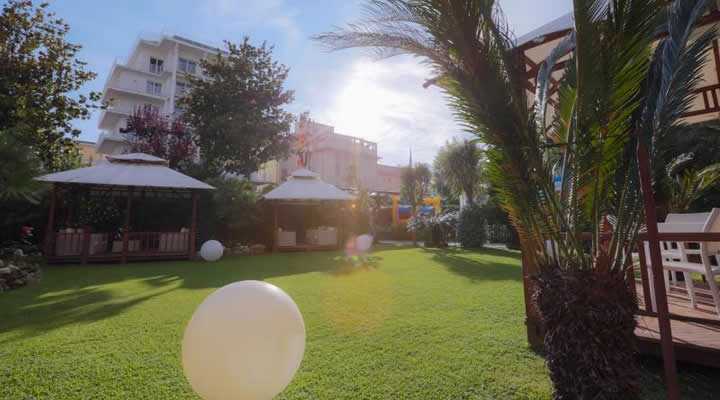 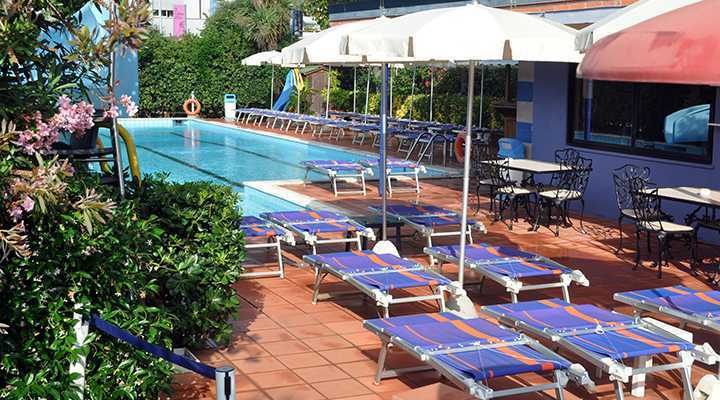 The swimming pool area is immersed in the greenery of the hotel park. 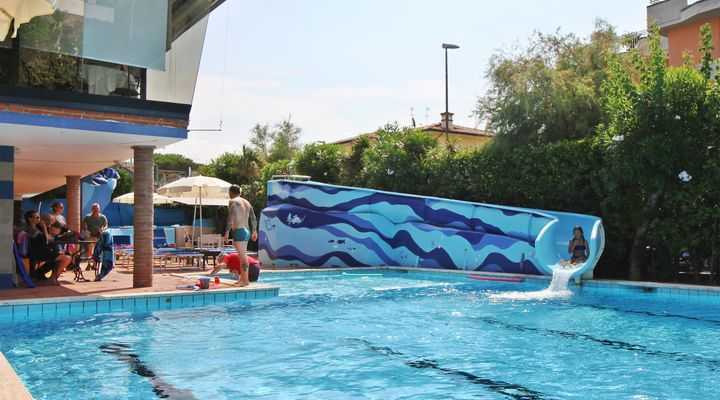 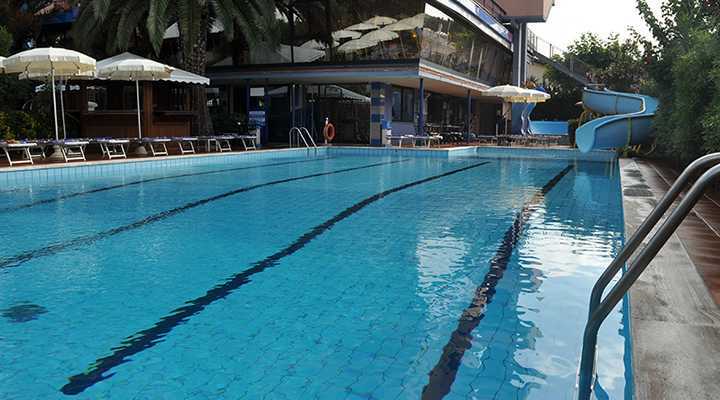 It consists of a large pool with diving board connected to a children pool. 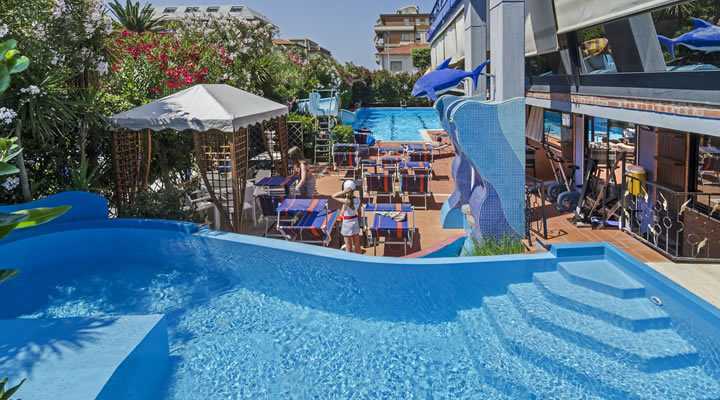 The new water park is installed close to the pool, with fun water games, a whirlpool bath and a 15 m water slide linked to the main pool. 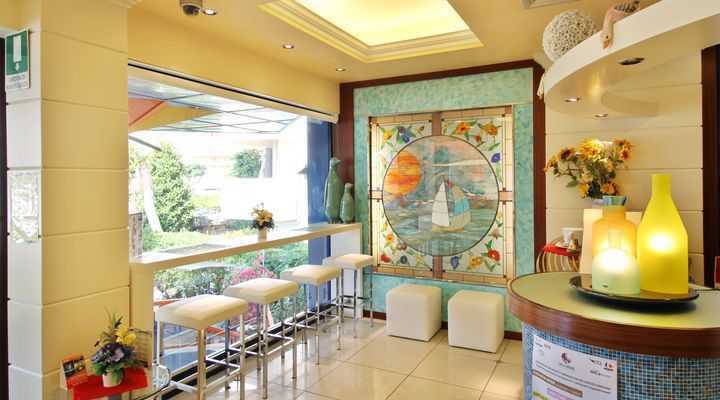 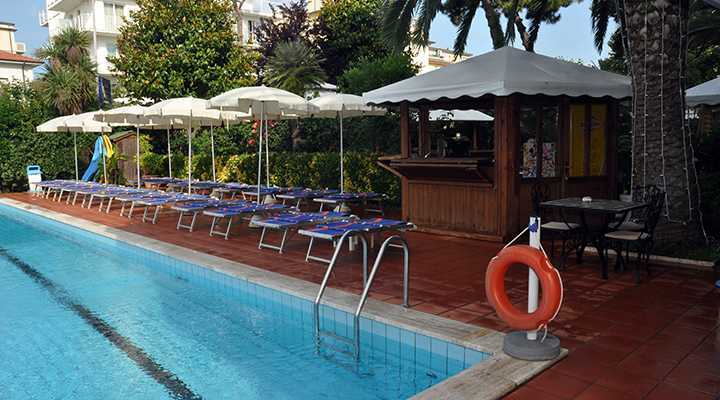 A poolside snack-bar is available for tasty snacks, ice cream and drinks. 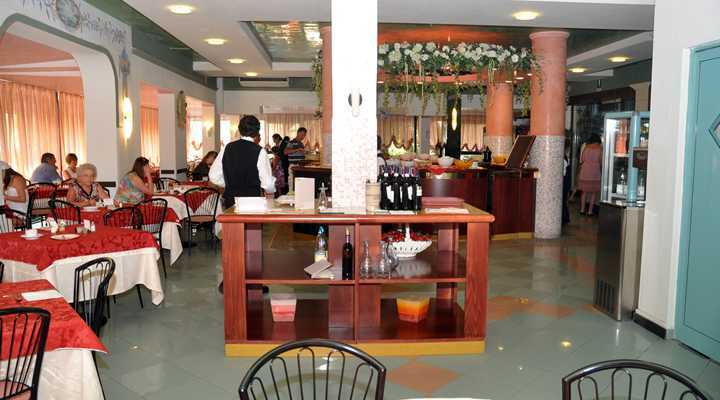 The hotel has lobby areas with air conditioning: main lobby, restaurant room, reading-room, recreation hall including ping-pong & football table, video-games, large screen TV, game tables. 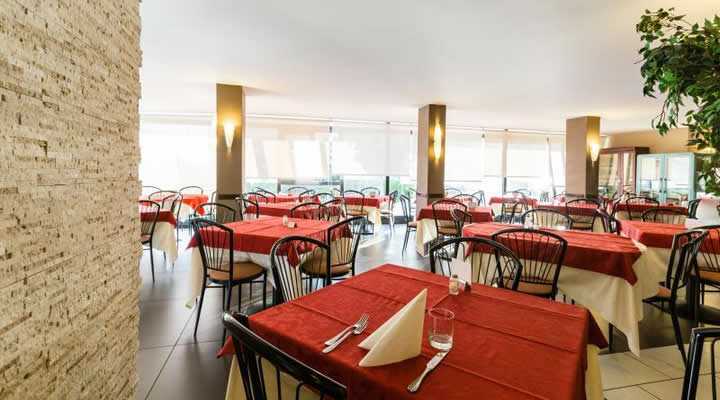 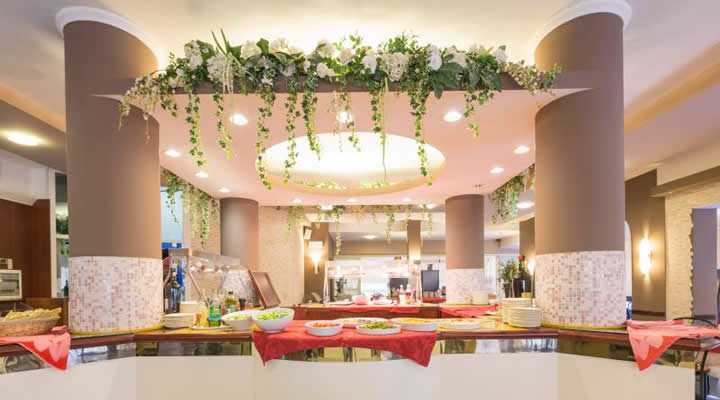 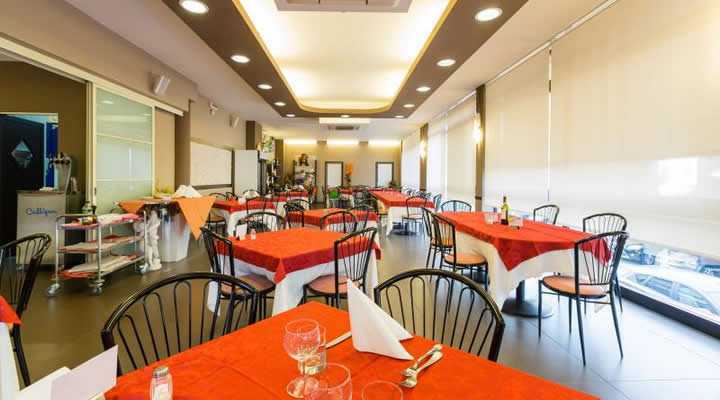 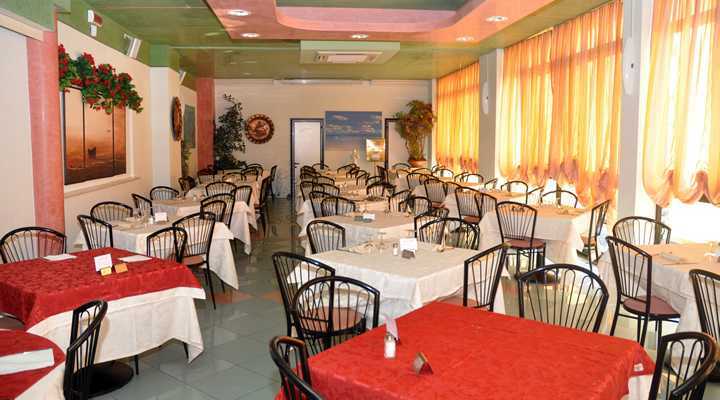 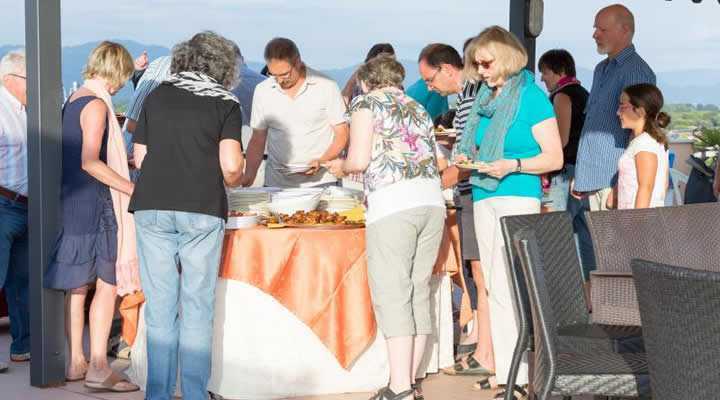 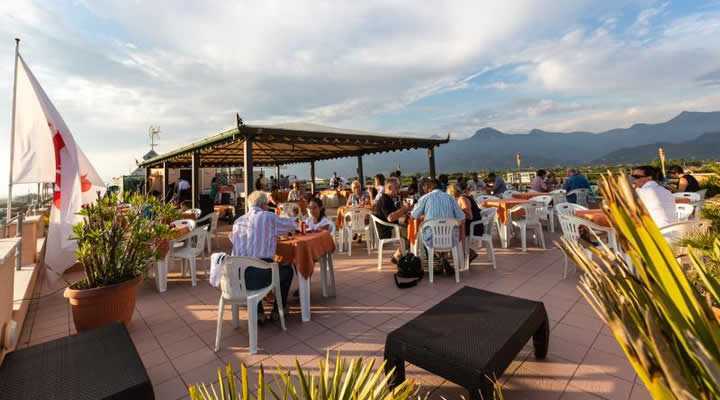 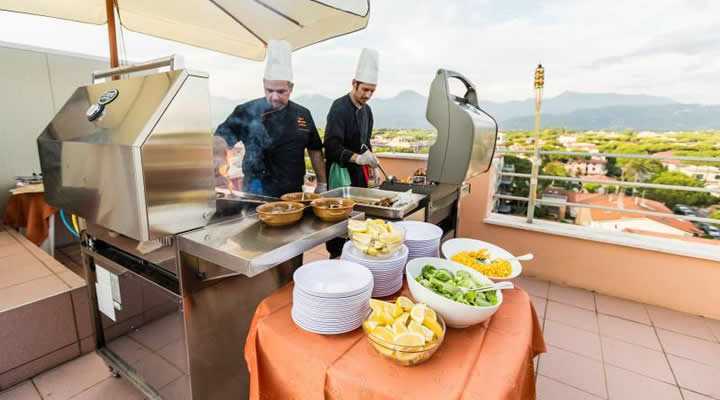 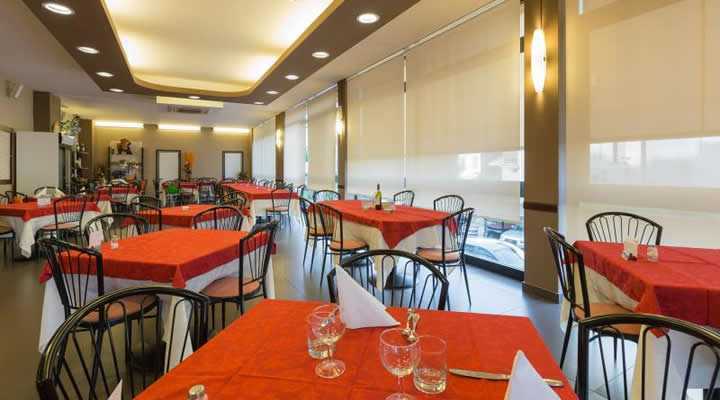 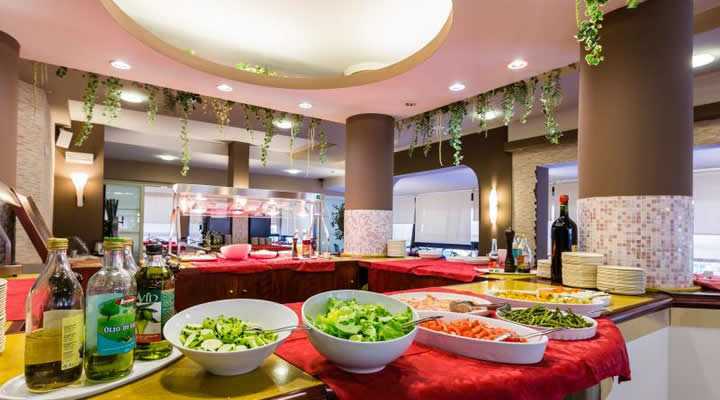 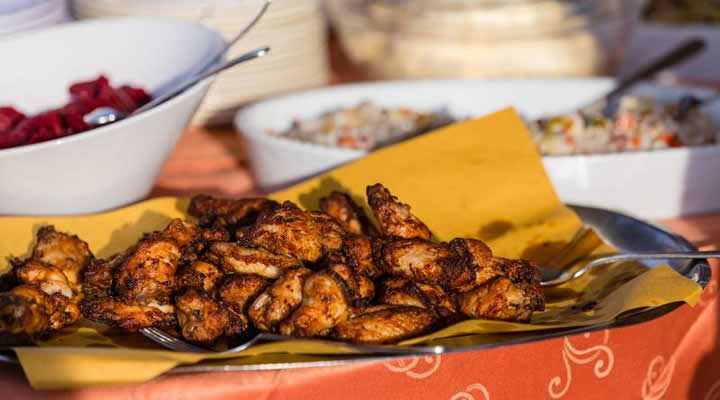 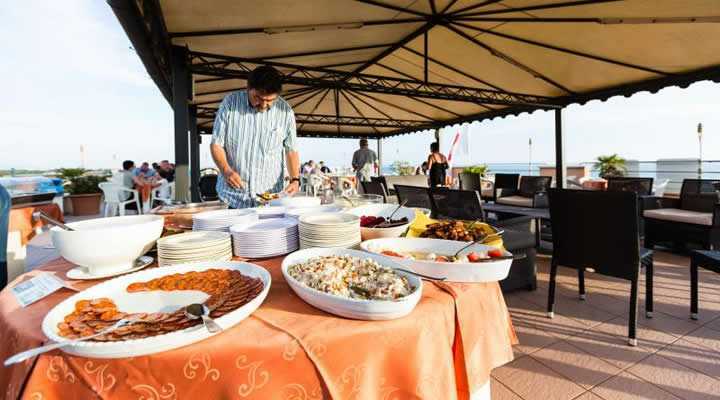 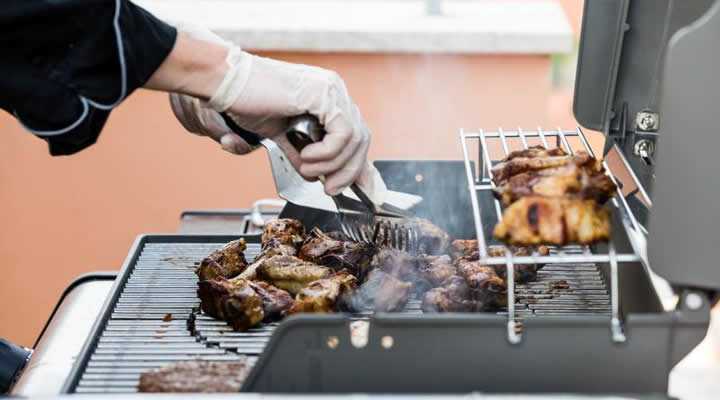 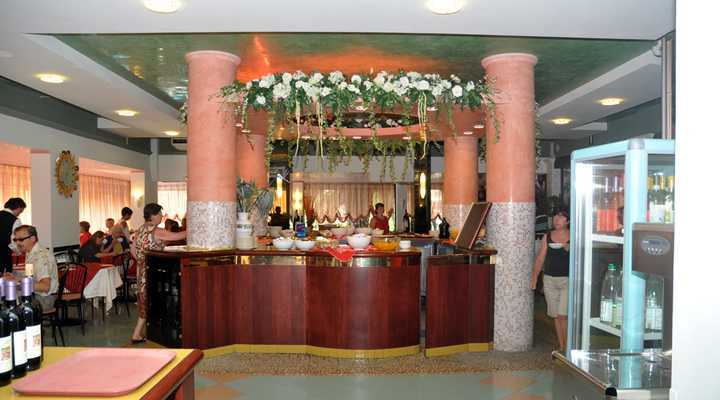 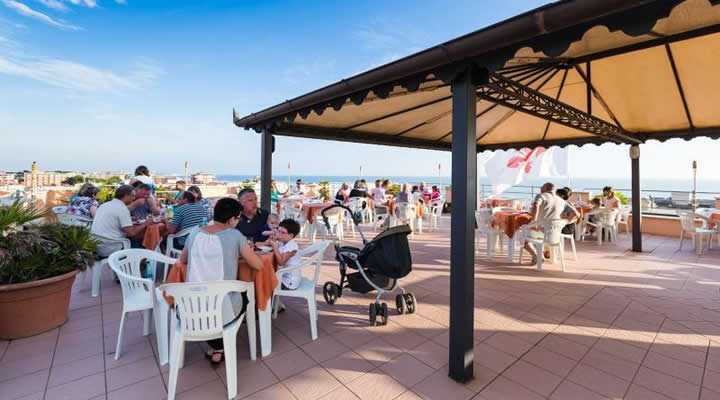 The restaurant offers a wide choice of menus and hors-d´oeuvres buffets. 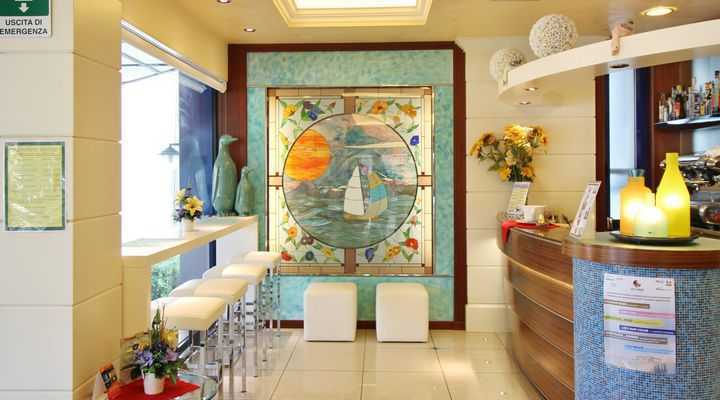 Artful and delicious cuisine. 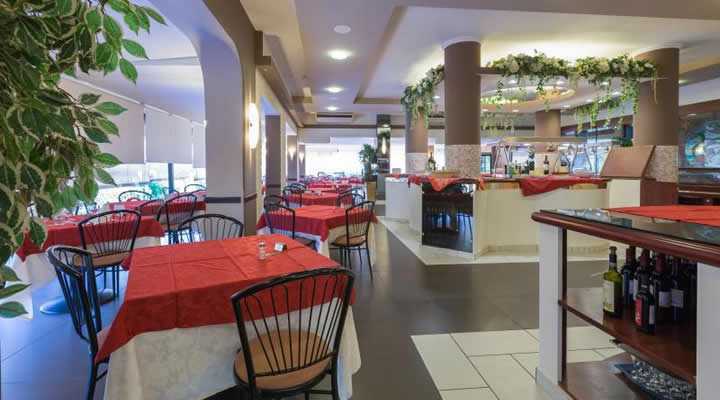 Pastries and ice creams made in house. 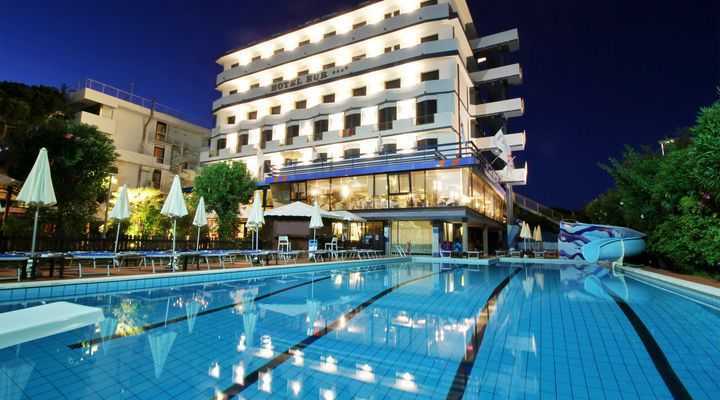 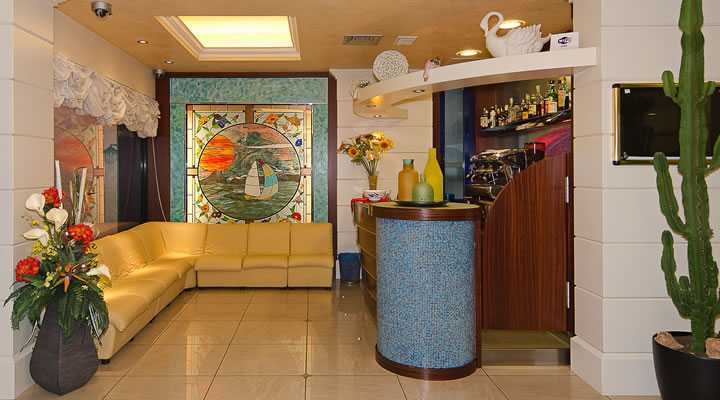 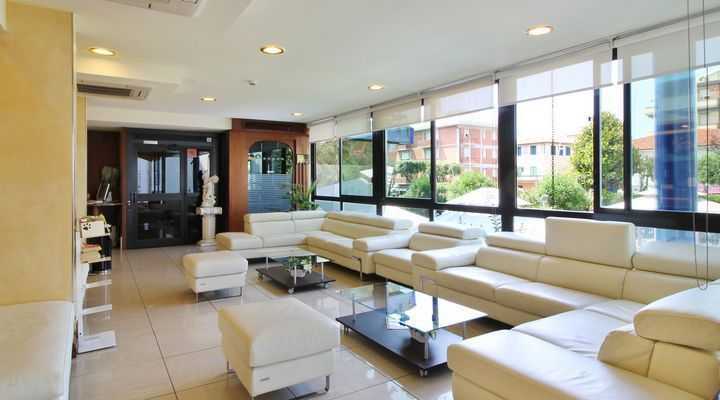 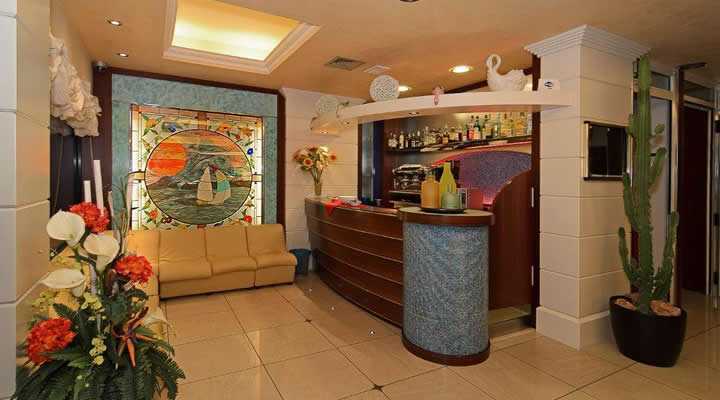 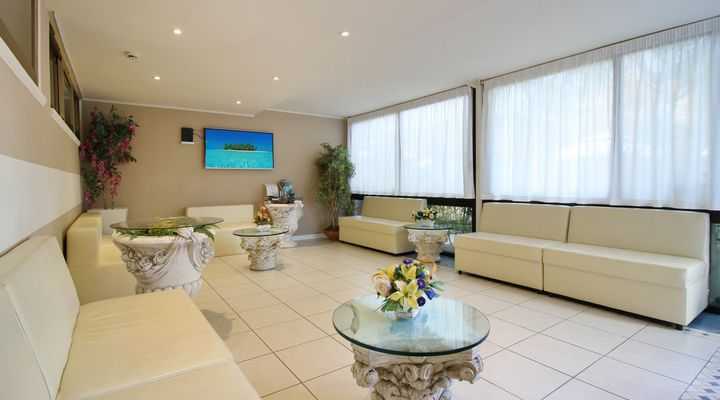 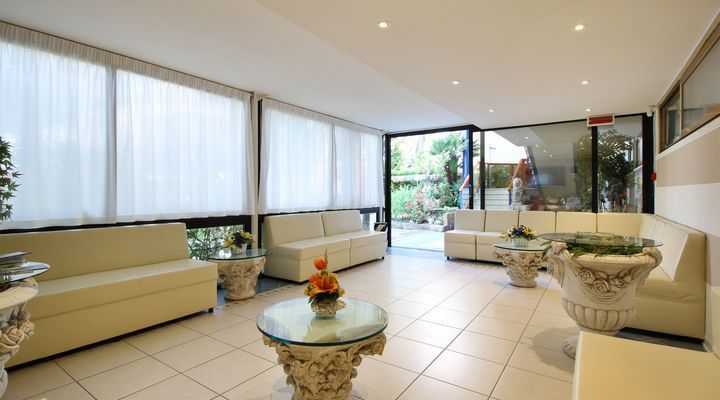 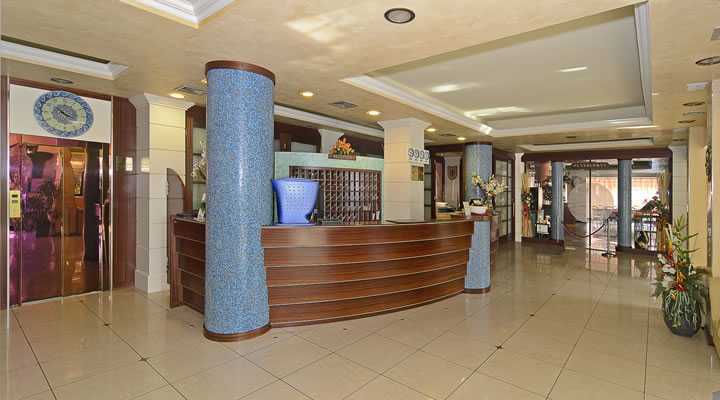 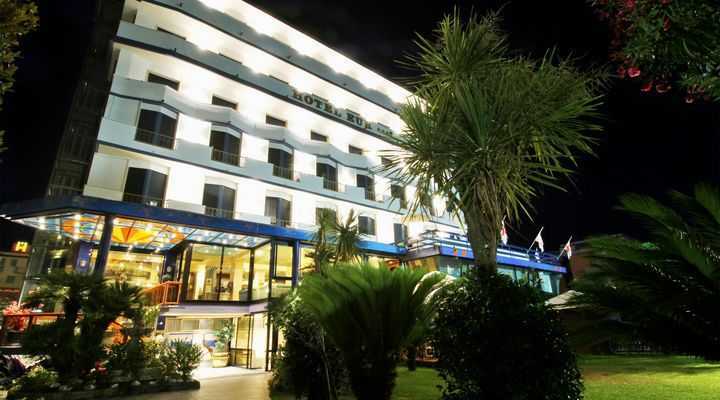 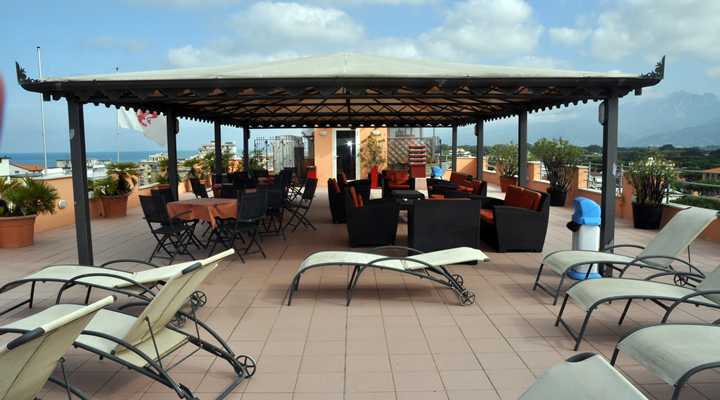 75 rooms with modern furnishings, safes for valuables, satellite TV, air conditioning (extra). 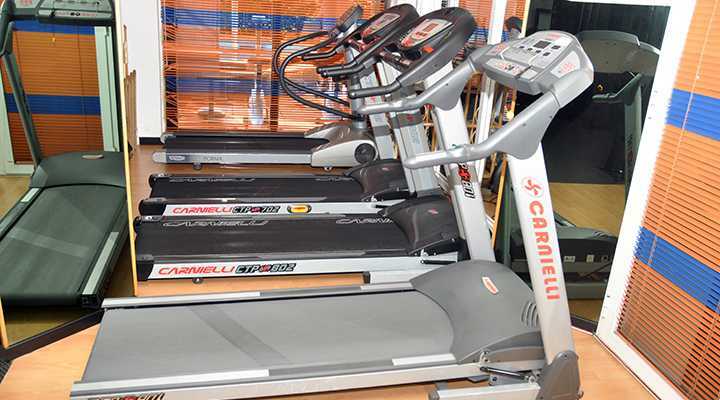 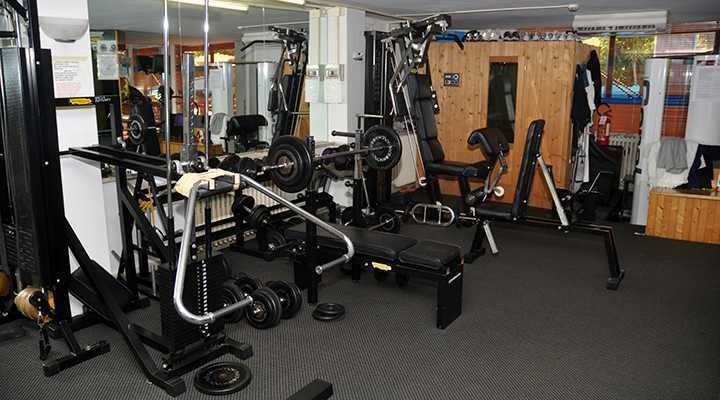 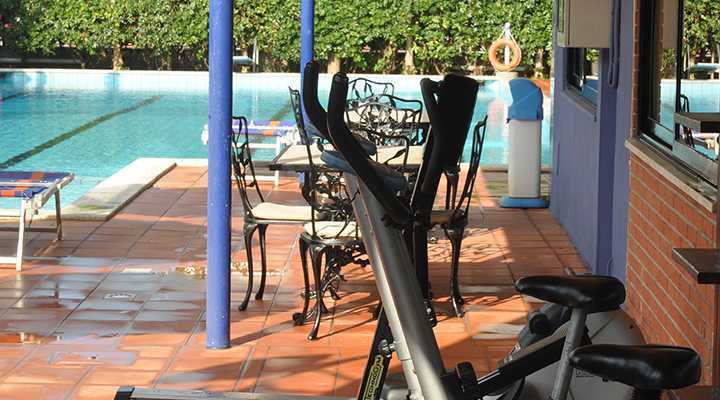 Fitness room equipped with Technogym weight machines, sauna (extra), moving walk way, stationary bicycles and a high pressure tanning unit (extra)At the 5th floor, a 400 sqm solarium terrace with huts and lounge chairs. 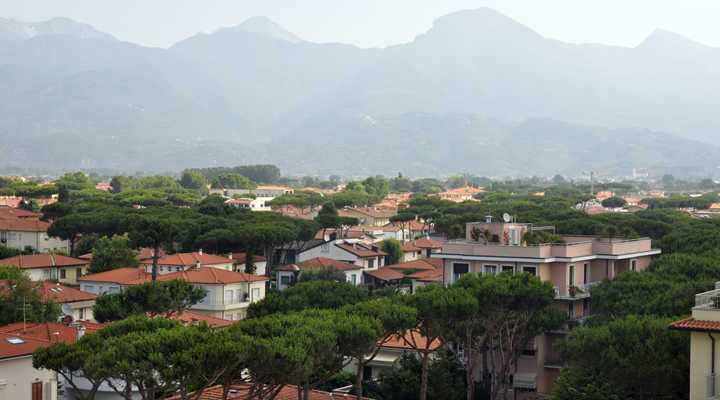 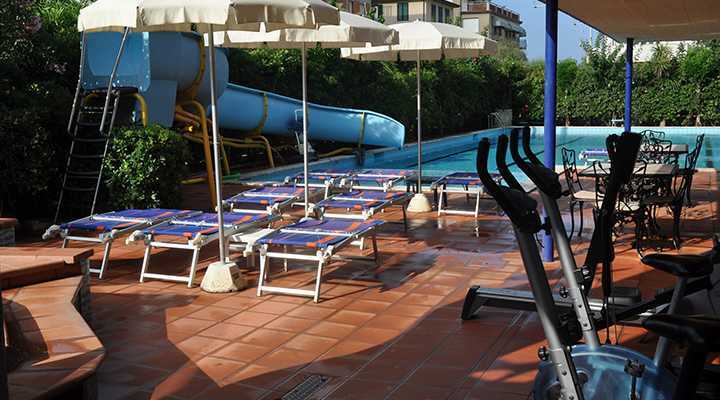 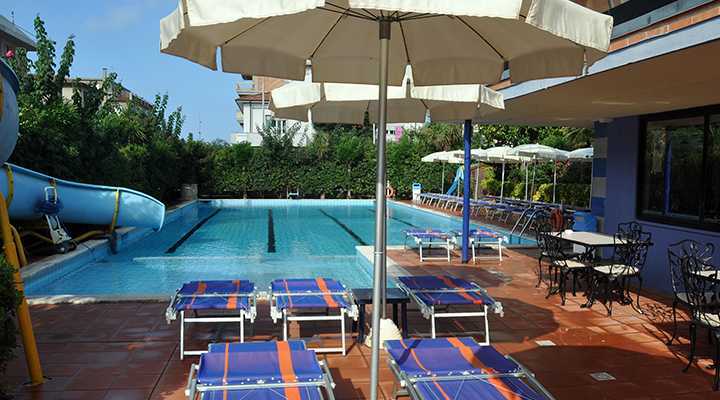 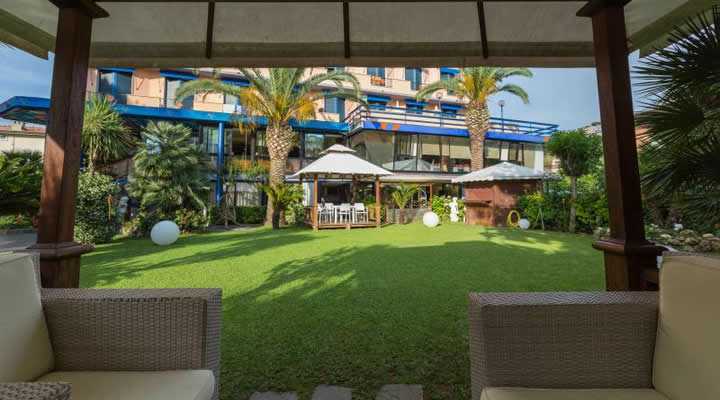 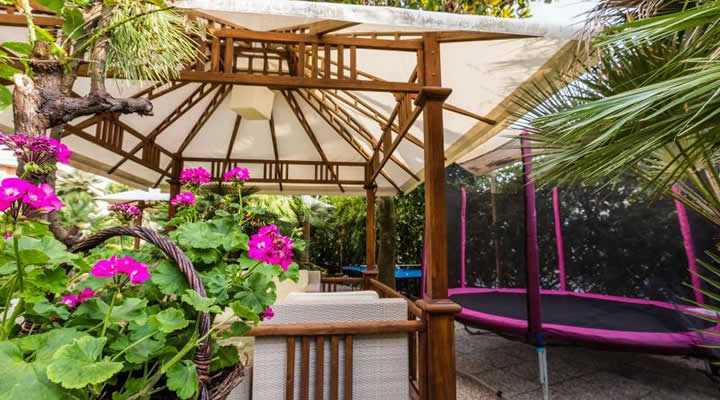 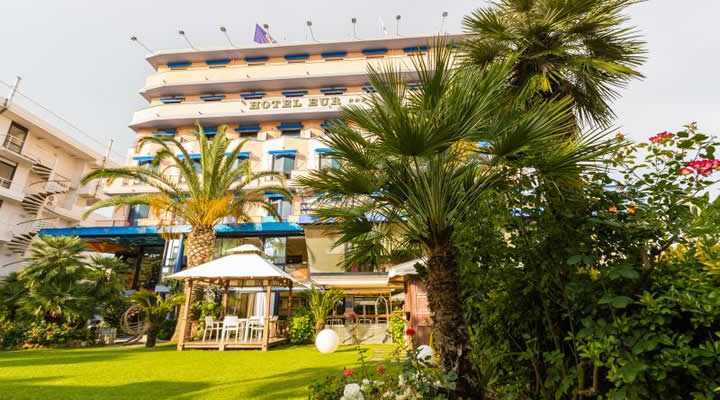 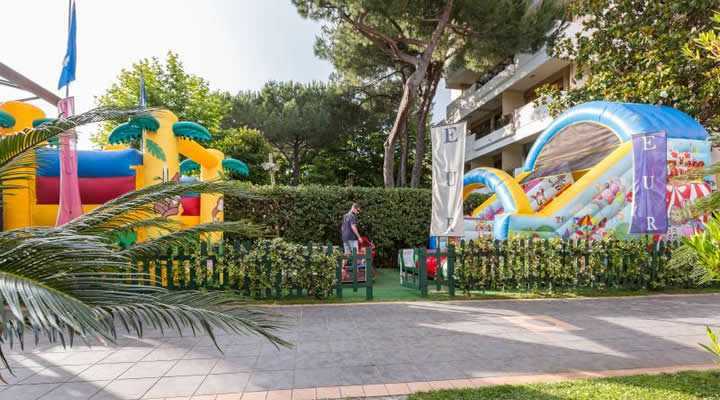 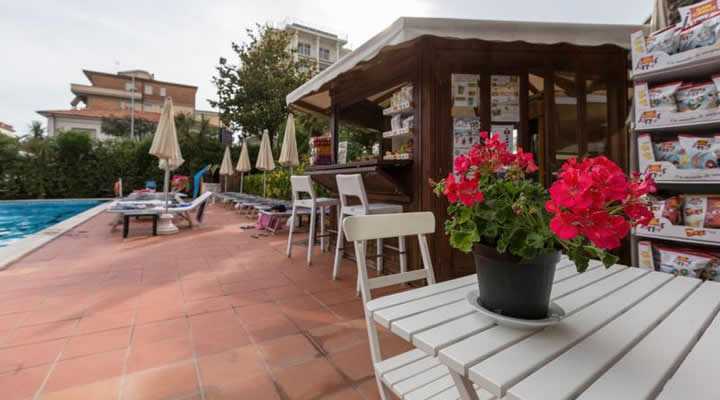 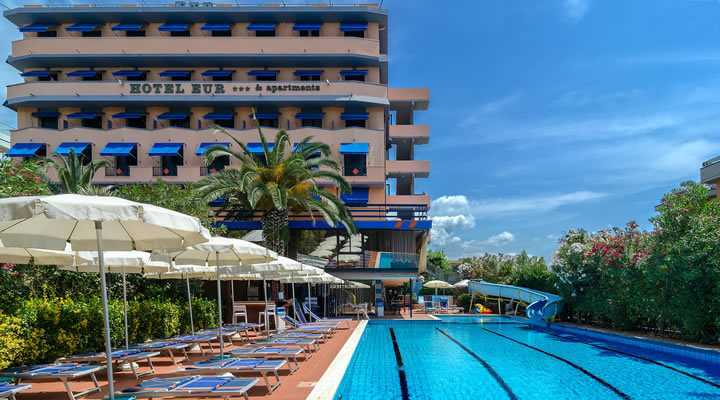 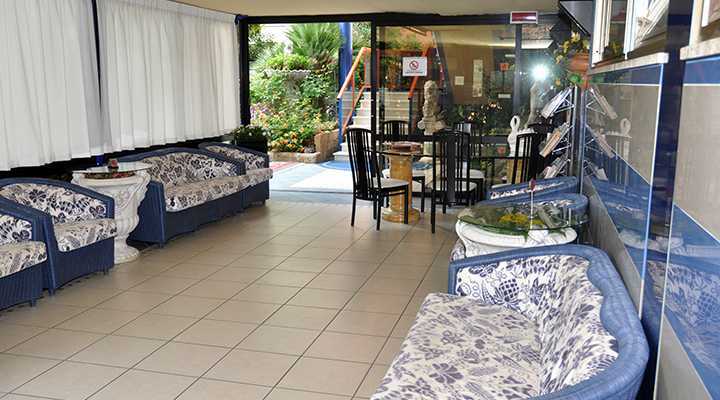 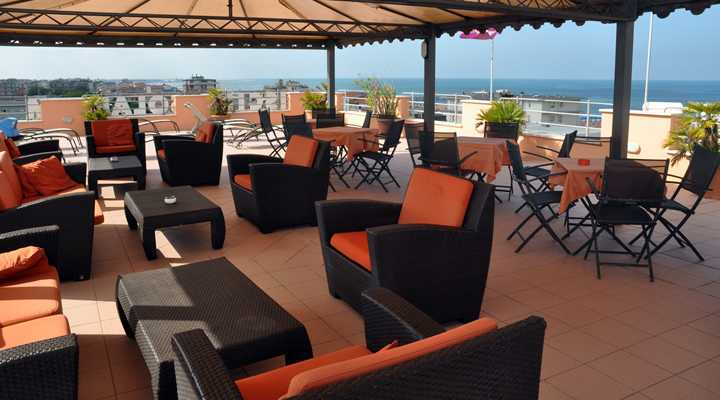 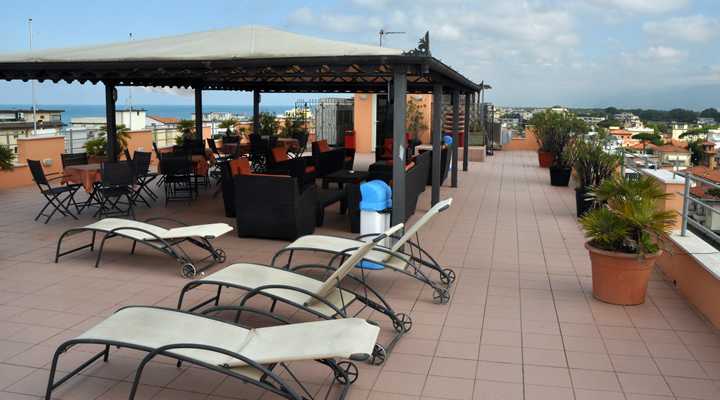 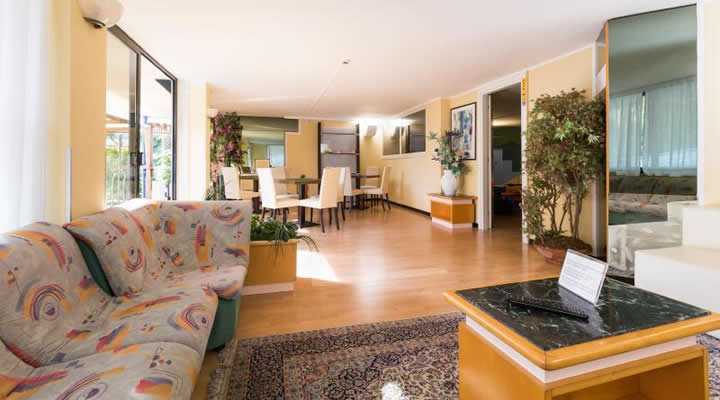 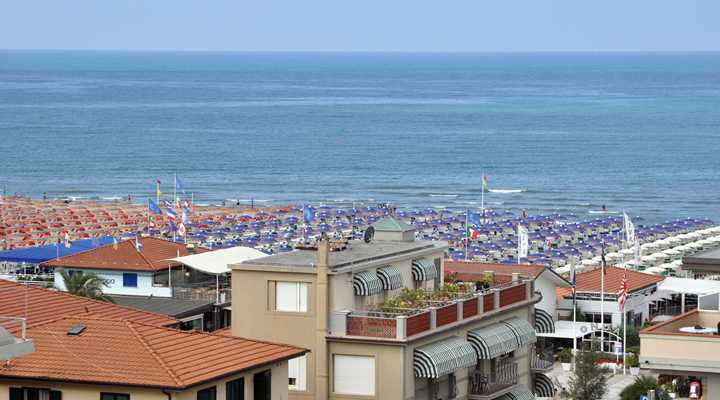 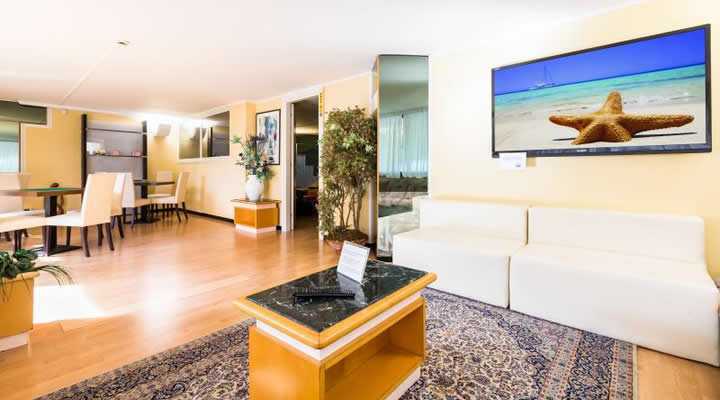 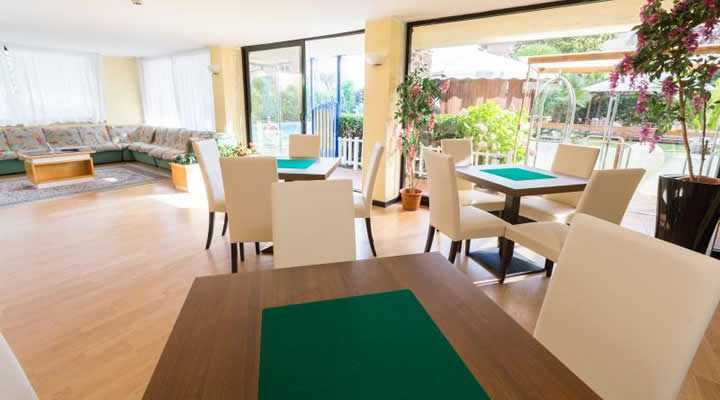 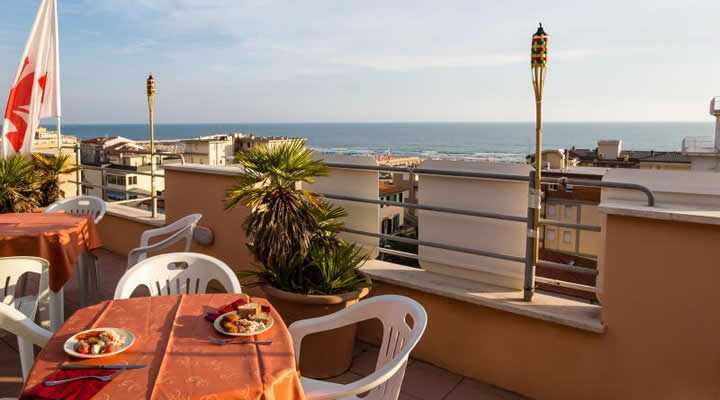 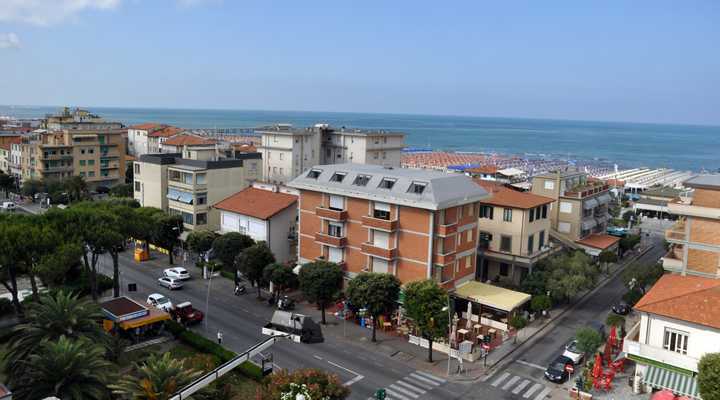 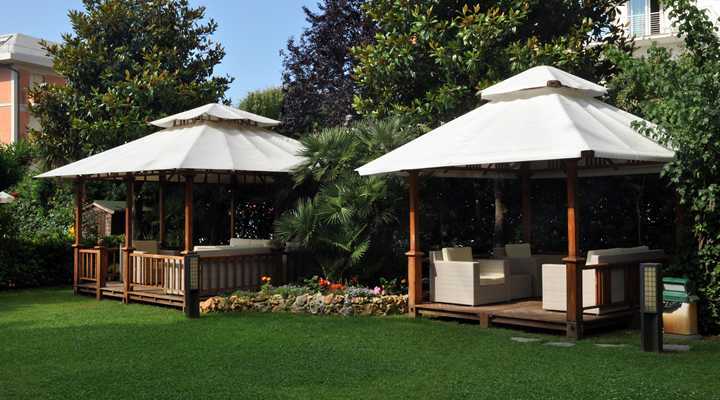 For pleasant sun bathing and incomparable views of the Versilia coast and the Apuan Alps. 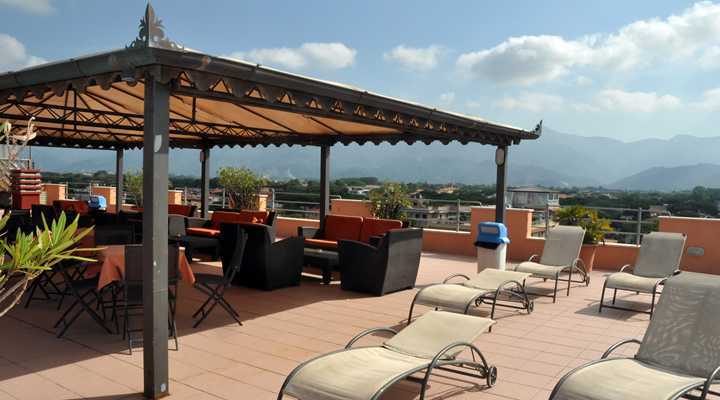 Cool off in the evening with the lovely mountain breeze. 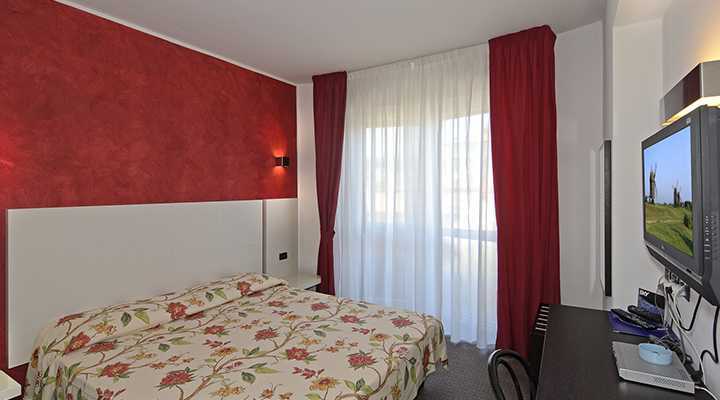 Double Room with balcony Measures room + bathroom: mq 15/18 approx. 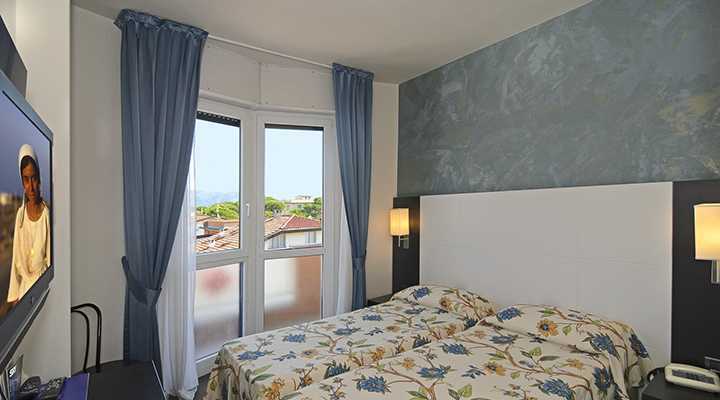 Possibility of customer demand for bed / s added. 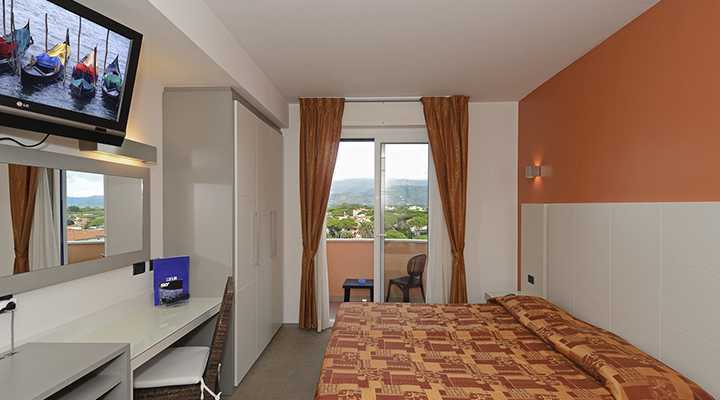 Triple Room with balcony Measures room + bathroom: mq 18/20 approx. 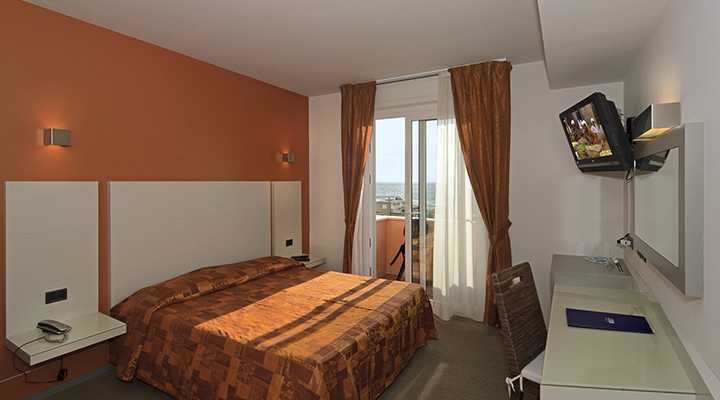 Quadruple Room with balcony Measures room + bathroom: mq 20/24 approx. 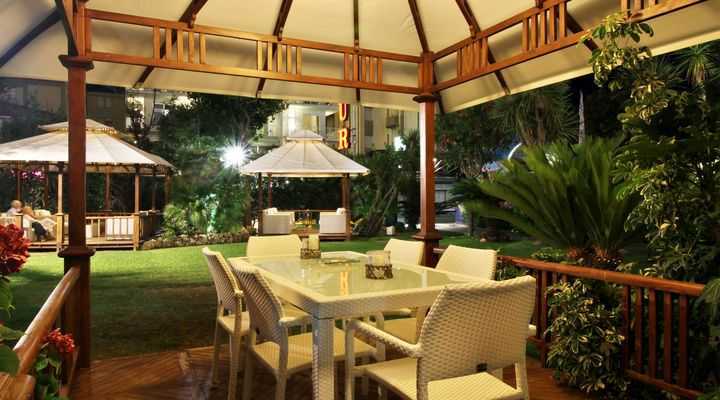 Junior Suite with balcony Consist of pre-entrance, 2 bedrooms, 1 bathroom. 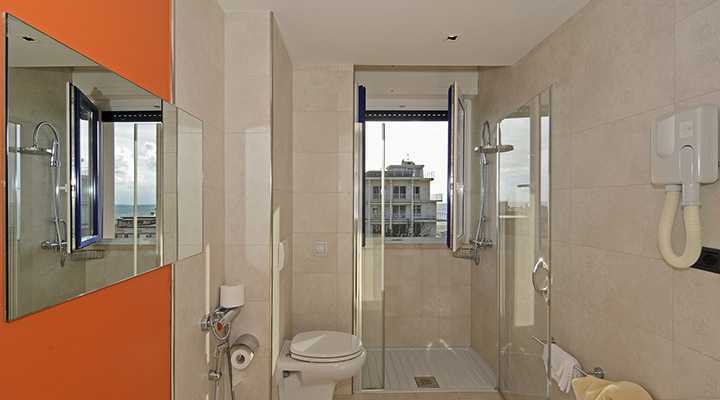 Measures room + bathroom: mq 35/38 approx. 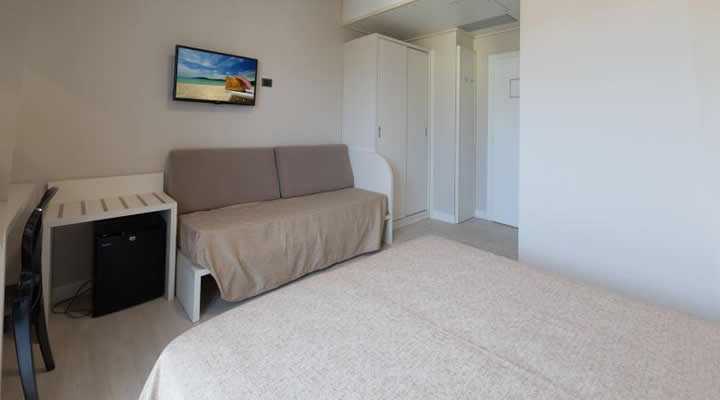 Double room supplement as single use On request! 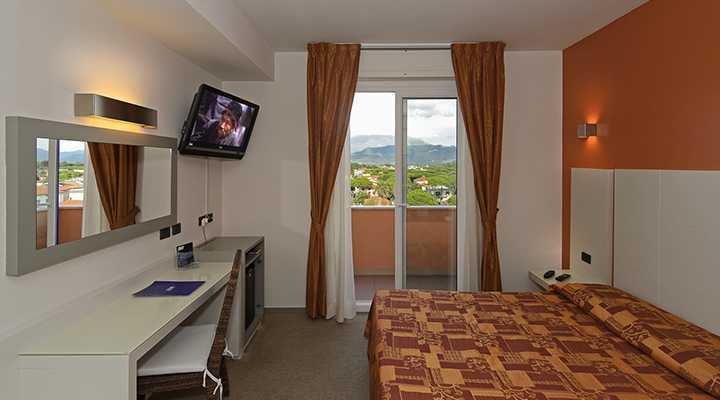 Air conditioning INCLUDED in all rooms and rooms of the hotel! 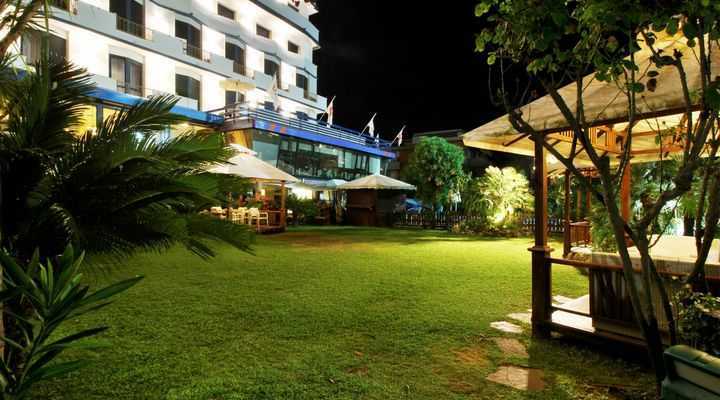 From: 15-04-2018 To: 01-06-2018 Only Room (Single): n.d.
From: 01-06-2018 To: 15-06-2018 Only Room (Single): n.d.
From: 16-06-2018 To: 30-06-2018 Only Room (Single): n.d.
From: 01-07-2018 To: 10-07-2018 Only Room (Single): n.d.
From: 11-07-2018 To: 09-08-2018 Only Room (Single): n.d.
From: 10-08-2018 To: 20-08-2018 Only Room (Single): n.d.
From: 21-08-2018 To: 25-08-2018 Only Room (Single): n.d.
From: 26-08-2018 To: 31-08-2018 Only Room (Single): n.d.
From: 01-09-2018 To: 14-09-2018 Only Room (Single): n.d.
From: 15-09-2018 To: 30-09-2018 Only Room (Single): n.d.
From: 01-10-2018 To: 15-10-2018 Only Room (Single): n.d.
Check-out from 07:00 to 10:00. 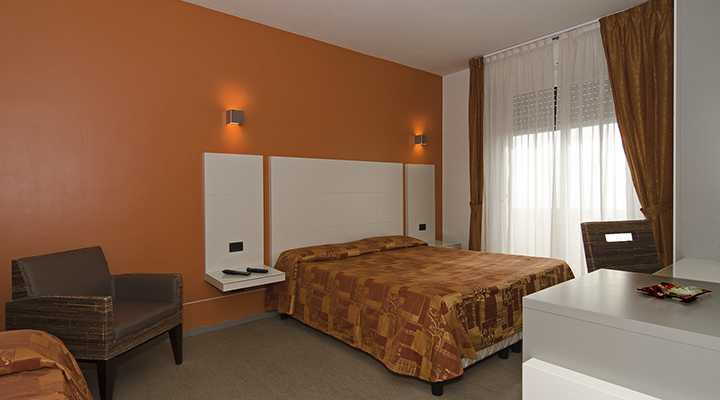 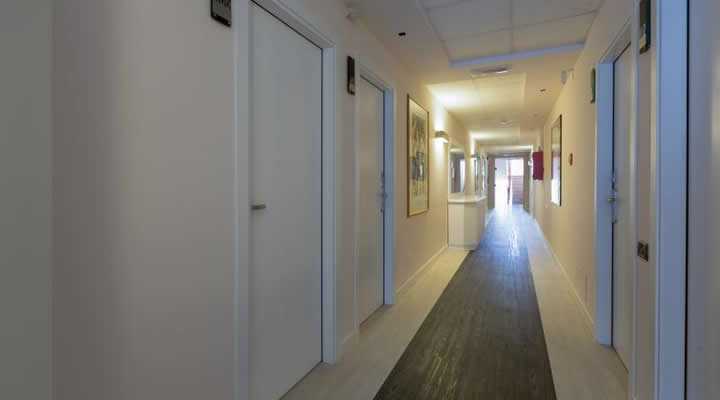 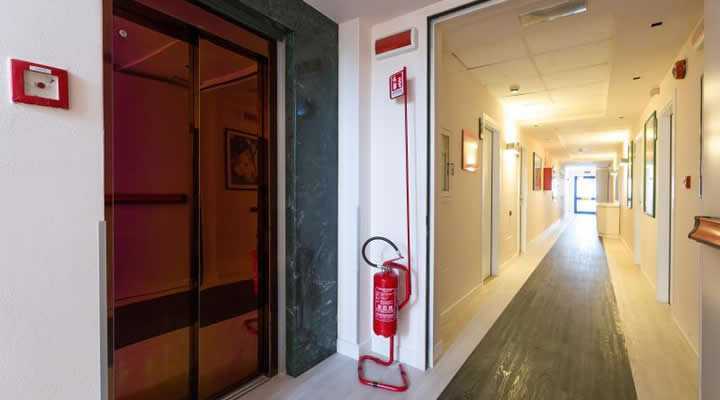 In case of late arrival or early departure, in the case of unoccupied beds, the hotel has to pay a penalty equal to 70% of the daily price for each day booked and not made.